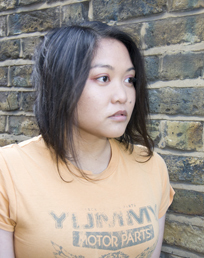 Rochelle Dancel is Fletcher‘s new Associate Producer. The newest member of the Fletcher team has only met the cast once and doesn’t even live in Canada. What initially drew you to B.J. Fletcher: Private Eye? I don’t think I was drawn to Fletcher so much as I was dragged on board! I’ve known Regan Latimer for years and I followed the development of Season 1. Throughout the season I was throwing in suggestions for developing the show outside of the immediate making of the show. Regan was (and continues to be) so busy writing, directing and editing it that there wasn’t much time for anything else, so one evening, after I’d thrown in a random suggestion, Regan, in a very exasperated tone, said, “Can’t you just do it?” Soon after, there came a point where, by default, I had become an Associate Producer. What has your experience been working on the show so far? Because I live in London and the show is made in Toronto, the time difference is a killer. There have been more than a few nights that I’ve come home from work, opened my laptop, and worked through to about 2am on Fletcher. Usually, Regan and I are chatting online, bouncing ideas back and forth. So far, I’ve built and developed the new website, which has been a big project. I’m looking forward to flexing my wings on developing some new ideas in the future. What was your favourite moment from Season One? I don’t have one particular favourite moment from Season 1 per se. The greatest thing about Season 1 was seeing everyone and everything grow in confidence – the writing, the characters, the actors, the choices that were made – from the initial three episodes to the season finale. Can you give us a bit of your background. What other projects have you been involved in? 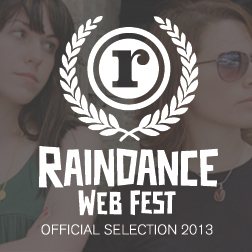 How do they differ from working on a web series? I originally trained as an actor, and just fell into being on the other side of the camera. Right now, I work with organisations in the UK that campaign against gender based violence, so my last film, and the one I currently have in development, was around victims of domestic violence in the UK. With those films, it’s really important from a campaigning point of view that they’re seen and used, so I have rather lengthy consultation processes and then funding has to come from the right sources (in both cases from a local government department) in order to ensure that the right stakeholders have a vested interest in supporting the films after they’re made. Making Fletcher could not be more different! I couldn’t do my job on Fletcher without online collaboration. The production process is faster, the feedback is instant, and there are more creative ways of pursuing funding from a business perspective that we can exploit. Right now, there are a lot of tools out there that make putting shows online easier than ever before. The challenge is keeping the standard high – production values, stories and talent. You spent a day on location with the cast and crew back in October. How was that experience? I had only just flown into Toronto the previous afternoon. So, jet lagged and tired, I went to hold the boom for audio on a scene in High Park. It was interesting because, as a director, I’m always keen to see how other directors work. Meeting everyone for the first time was a little bit surreal because I’d heard about them almost every day since pre-production on Season 1 started and I’d watched the rushes and rough cuts. Despite the cold and the achy shoulders, I had a really good time and there were a lot of laughs! It’s a really tight team, and I’m excited to – officially – be a part of it.